Challenge: The Regina Trades & Skills Centre is a program that was developed to encourage more young people to enter the trades. It is their first step in a trades career. 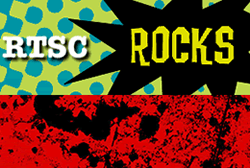 In 2012 the Centre had their website and social media redesigned to target a younger audience. Online course registration was made available to the youth from both the website and social media networks. As online registrations increased, managing the growing volume of traffic was becoming a greater challenge. Large, proprietary database solutions did not fit within the Centre's budget and at this point, they had decided that an excel database was the only economically feasible option available to them for managing their increased program demand. Solution: We were able to propose and provide another solution that would meet their growing program requirements and fit within the Centre's budget. This involved designing a customized online database tailored specifically to the Regina Trades & Skills Centre programs and budget. The database was built to work with the website to pick up the online registration submissions and manage information as it is processed through their program. Planning for incremental enhancements allowed the system to grow along with their increased programming needs and continue to fit within the budget parameters. The website and associated database system is now being used for most of the Centre's business applications. Their new program receives and processes student registrations, manages program offerings, student and program records, and attendance. It generates required documents for reporting, payroll and all data is searchable and archived. The system has multiple user level access, an intuitive user interface, does not require any additional software purchases or training and can be accessed from any location with an internet connection. Challenge: Managing a growing volumne of student and course registrations. Solution: Development of a customized database for recieving and processing student registrations, program offerings, student and program records, managing attendance and generating required documents for reporting and payment. The system has multiple user level access, an intuitive user interface, does not require purchasing or learning additional software and can be accessed from any location with an internet connection. The database office system has been designed and taylored specifically to fit the programs and requirements of the Saskatoon Trades & Centre. It will continue to be enhanced and extended as need and budget allow. Challenge: The Association of Regina REALTORS® website is an important communication tool for providing current, relevant information to the membership. As part of the Association's 100th Anniversary year, plans were made to refresh the Association's website. There are several databases that deliver information to the website. The membership relies on this information service. It was critical that the transition to the new site and the data connections be seamless. Solution: The solution was to maintain the current site while the new site was prepared in the background. Numerous news feeds and connections to databases were made and rigorously tested. Using our expertise and knowledge of the MLS database system, we were able extract the Open House data. The Open House listings were styled to display the information in an attractive, user friendly format and the optimal update and refresh intervals determined to ensure that content displayed would be as current as possible. When the new website went live, the transition of the website, the data and display was seamless. Challenge: Southern Prairie Railway is an exciting new adventure. Passionate about trains, railway, heritage and community, this startup tourist venture needed a website that would allow them to provide information about their railway, schedule trains and sell tickets online. Their timeline was tight and budget limited. Solution: Working together with the railway group, we created a website that reflected the unique look and feel the group needed to project. As the date for the opening of the railway approached, the programming for a customized scheduling and ticket management system was completed as well. 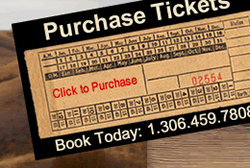 Visitors would use the website to get information about the trains, schedules, available seats and then purchase their tickets. With a direct connection to the banking processor, the purchases were both secure and very fast. The railway staff also had a customized interface that allowed them to enter and manage all of this information and then generate sales reports and other business documents they require. The end of the first season was a tremendous success exceeding all expectations! The railway has continued to experience growth and amazing success! 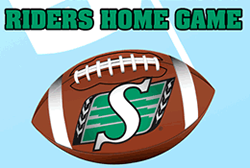 Challenge: The Wireless Age in Regina and Saskatoon run a contest every year that gives away two football tickets on the 55 yard line for each Saskatchewan Rider home game. To enter the contest people fill in an entry form at one of the selected Wireless Age store locations. The challenge was to create an economical way to increase opportunities for people to participate in this contest. Solution: In order to increase opportunities to enter the contest, we extended the contest to social media by creating a custom app for facebook. Without increasing the overall cost of the contest by a significant amount, the app allowed people to enter the contest from the Wireless Age facebook page anytime, from any location. As a result, a large number of contest entries were submitted through the app from mobile devices during each of the Rider home games. Challenge: The Yorkton Chamber of Commerce wanted to refresh the website for a more modern and unique look and feel. They also hoped to include images provided by local photographers in their new design. In addition to a fresher look, the Chamber needed to update some technologies for maintaining their membership lists and database, online voting, online award nominations, events and membership mailouts. Solution: The website created for the Yorkton Chamber of Commerce is a content management system with a custom designed template created specifically for them. 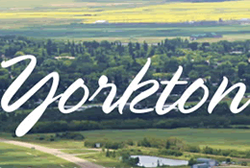 Beautiful photographs of the Yorkton area that were provided by local area photographers are included in the design as page banners. 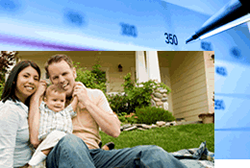 An extensive membership contact list and database that is easy to update was setup. The programming and databases were redesigned and customized for membership voting and award nominations and a bulk mail system for communicating with the membership set up. 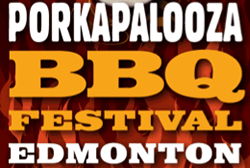 Challenge: The Porkapalooza Barbeque Festival in Edmonton required a website to handle a large amount of event traffic, provide event information, online signups, registration and payment for barbeque teams, judges, volunteers, judging classes and sell Father's Day brunch tickets. The timeline for this project was tight. Solution: A work plan and schedule was set to ensure key elements such as domain, hosting and bank setup were prepared early and ready as needed. A new responsive website was created to allow event guests to access information and purchase tickets online throughout the event from mobile devices. As the dates for the event approached and traffic to the site increased, it was essential to recieve new information and post it quickly. Updates and monitoring continued throughout the event weekend and when the Father's Day Brunch sold out early, changes to the online ticket sales and the information on the site to indicate they had sold out were made right away. The event was a huge success with over 25,000 guests! Challenge: The Saskatchewan Rate Review Panel advises the Government of Saskatchewan on rate applications proposed by SaskEnergy, SaskPower and the SGI Auto Fund. They maintain a website and social media where they post all the information and documents related to current and previous reviews and provide opportunities for the public to provide comments and input throughout the process. Each public comment is reviewed by the panel. When there is a large public response, managing the public input can be a challenging task. Solution: A database was designed to assist the panel with the task of capturing public input, reviewing it and then displaying for public access on the website. The database collects public comments from all the webform, social media and email sources and saves the content and attachments in a database. Alerts and messages are automatically sent to let the appropriate individuals know when there is a message they need to review or respond to and when they can be posted on the website. The system has made it much easier to manage a large amount of information and then provide public access to it from the website.